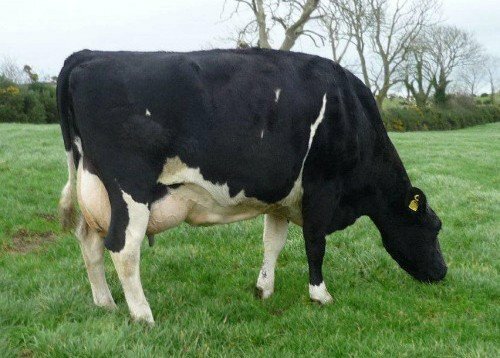 Patrick is the No.1 available young Friesian sire for both PLI (+£434) and Type Merit (+1.57). A very correct, dairy black bull with plenty of length and strength. 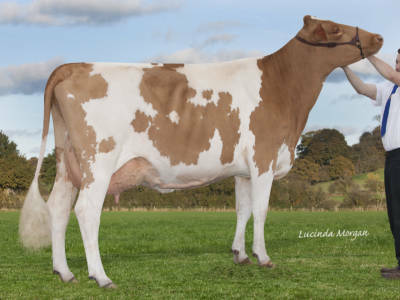 and is performing well in her 6th lactation – an ideal robust, long-lived modern dairy cow. many generations and Patrick is among the breed leaders at +0.22%BF and +0.12% Protein. One of the most exciting young British Friesian bulls ever to be available!